Whether you need help with a single property or an entire portfolio, you can count on our established family run agency to take care of your investment. As one of Stockport’s and South Manchester’s leading independent estate agents, you will find our dedicated lettings team is available to deal with all landlords and tenant enquiries to provide a seamless start-to-finish service for you, your property and your tenants. Individual property managers to deliver a personalised service. Our rental division is run by one of the family members Angela Robinson. Our Rental Department is run in-house from our Superstore at Hazel Grove, ensuring all enquiries are dealt with from a central base. 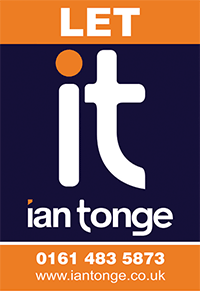 At Ian Tonge we take great pride in nurturing relationships between our landlords and their carefully selected tenants, as by providing a great tenant we can provide the level of customer service we promise to deliver. It's only through this that we're able to boast an average tenancy length of 18 months, with an average tenancy extension of 11.1 months.